In the early to mid-1990s, salons specializing in hair and nail services dominated the beauty landscape. Although destination spas provided skin treatments, therapeutic massages and a smattering of wellness offerings, nothing existed in local markets. Salons morphed from five styling chairs and two nail stations to large, beautiful facilities with private rooms that offered an array of services such as therapeutic body treatments, various European facial treatments, massages, waxing, eyebrow/eyelash services and tanning. Thus, the modern day spa was born. The United States experienced an economic boom in the late 1990s, with unemployment averaging 5.7% and the stock market returning 18% per year.1 Inflation was tame, and the federal government actually ran surpluses for a few years. These elements allowed women to afford to spend five, six or seven hours getting a cut, color, manicure, facial and massage … all in one place! Being “all things to all people” can be a challenging task, as finding highly qualified, licensed professionals to perform various modalities became increasingly difficult. In the early stages, it was not uncommon for the same technician/stylist to do a cut, color, brow service and manicure on a client. More and more young women were choosing cosmetology, specifically esthetics, as a career. As the trend gained momentum, people with unique entrepreneurial skills emerged, and beauty businesses with specific services in the market branched to multiple locations. Multiple location businesses whose ownership had a vision of growth transitioned into national locations with investment funding or franchising as a growth strategy. The trend gained momentum in the mid to late 2000s, and many successful local and regional specialized providers made their mark. Nail salons, skin care spas, medical spas and massage studios were opening multiple locations in major urban areas, with some expanding to neighboring states. The companies that succeeded in a specialized beauty market shared many common traits and beliefs, which are shared below. It is not just about having a great idea; it is the ability to execute the idea that is key. Find something that is not offered, or take a current idea and make it better. Have a passion to provide an incredible client experience. Commit to furthering your education in your chosen specialty to be the best at what you do. Focus on acquiring or developing new products that serve your specific niche. Specialized services have given rise to new products, advanced technology and up-to-date training techniques that benefit both the client and the provider. Successful providers have built brands based on their name, and by aligning themselves with product and training companies. 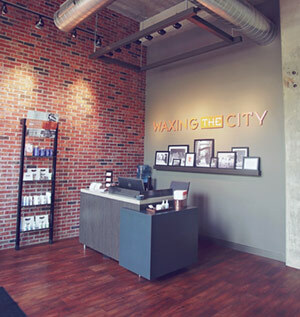 One of the businesses that was able to grow in this age of specialization was Waxing the City, a waxing-only studio headquartered in Denver. The company was founded in 2003 by Summer Vasilas, an esthetician with waxing expertise, and three female business associates. By 2012, the company grew to multiple Denver locations and a satellite location in Dallas. Looking to expand the brand, it partnered with Minnesota-based Anytime Fitness. The company is ranked No. 1 in category and No. 2 overall on Entrepreneur magazine’s 2015 Franchise 500 list,2 surpassing well-known franchises including Subway, McDonald’s, and Pizza Hut, for the fourth straight year. Currently, there are over 2,700 locations worldwide, with more than 2,100 located in the United States. “We are setting the bar very high … it’s about quality and not quantity. Our combination of highly trained technicians—all estheticians, outstanding customer service and the high quality gentle products used make for a memorable client experience. We are not the fastest, and that’s by design ... not the least expensive, but we strive to be the best,” added Narro. Since taking over the initial location, Narro has opened a second location in Southlake, Texas and has plans for one more in the future. “We offer a special service and provide that service with professionalism and passion,” says Anna Shafiei, a newer franchisee who has opened her first location in Naperville, Illinois. The above is just a snippet into one of the many success stories that specialized services have fostered. It is imperative for these businesses to utilize every available tool when branding themselves, products or services. According to BIA/Kelsey, a research company focused on the local advertising community,” 97% of local consumers start their search for local businesses online.”3 That means they will search using specific keywords such as “best French manicure, best eyelash extensions and best microdermabrasion treatment.” Successful specialized beauty companies must utilize resources like social media, search content, e-mail marketin, local and national advertising (where applicable) and text marketing to help clients find their specific services. These companies must disperse communication to current and future clients about their commitment to continuing their training and education, recognitions and awards received and charitable and community contributions. Building on the client’s confidence and professional’s credibility, the professional can then offer new services/products within their specialized arena. They can notify clients when additional continuing education has been completed in their specialization and upgrade them to a new service or product. The need for continued training and education in their given area of expertise, along with marketing will give the specialized professional a major advantage with time. Specialization can provide high quality services by well-trained personnel, providing the client with exceptional results. The client wins by receiving the best version of the treatment they are after and the quality provider builds a loyal client who looks to them for their area of expertise. 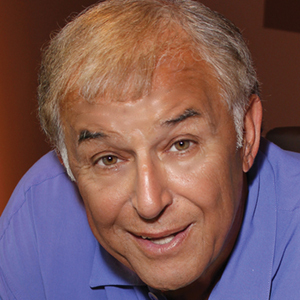 Tom La Palermo is co-owner of Occhi’ Lash & Brow Studio (Oakbrook Terrace, Ill.) and The Occhi’ Institute for Lash & Brow Training, along with his sister Lynn La Palermo. His career spans 30 years in publishing and marketing.